The Victorian Government shed some light on uptake of its popular solar power incentive on Friday. The Solar Homes Package was launched in August 2018, with the first stage offering rebates of up to $2,225 to support the installation of solar power systems on 24,000 homes or until June 30 this year – whichever of the two comes first. That’s in addition to Australia’s major solar subsidy and any other scheme an applicant is eligible for. A $1,000 rebate on solar hot water systems for 6,000 households will also be available up until June 30th; but the application process for that aspect still yet to open. The Victorian Government says close to 7,000 households have installed solar power systems since the scheme was launched last year, amounting to more than $3.4 million in rebates – but that doesn’t add up. But it then goes on to say that only approximately 1,600 households had already received a rebate, “with many more solar installation projects underway”. I’m assuming this means ~7,000 systems have been installed under the scheme to date (Clean Energy Regulator numbers seem to support this), ~1,600 have received their rebate, ~5,400 eligible participants are yet to receive it – and there’s plenty of other interest. But it’s also possible some of the 7,000 systems mentioned aren’t covered under the scheme, i.e. ineligible for whatever reason or the purchaser hasn’t bothered with applying (which would be odd). It’s also not clear how many initial eligibility applications have been approved or are currently in the processing queue – there could be quite a backlog. The way the process works is after the applicant has initially checked their eligibility and then selected an installer who has also supplied a solar provider statement, the applicant needs to submit proof of eligibility to Solar Victoria. This takes 3-4 weeks for processing and Solar Victoria advises payments for a system should not be made during this time. If it is determined the applicant is eligible, an eligibility number and a link to apply for the rebate after the system is installed is provided. However, clearing this stage does not mean that the applicant will definitely be paid a rebate. After installation, and this could be months later given the amount of work some installers have on their books, the applicant needs to submit the required documentation in order to be paid the rebate – and the documentation needs to pass muster. Processing time for this aspect is currently noted as 3 – 4 weeks but is “indicative only”. Solar Victoria notes it is experiencing a high volume of applications. Assuming the rebate is approved, it will then take another 2 – 3 weeks for the rebate to be paid. Between initially submitting for an eligibility number and actually getting the rebate could be four to five months – or even longer. As mentioned, this first tranche of the Solar Homes Package is funded until June the 30th 2019 or for 24,000 solar power system installations – whichever comes first. It’s not clear (to me anyway) what happens in the case where someone has an eligibility number and doesn’t get a system installed for some months – could they potentially miss out if others pile in with their rebate application beforehand? However, it may be a case of once 24,000 eligibility numbers are issued, no more will follow and perhaps a waiting list implemented in case some with numbers drop off. But even if this first stage of the rebate runs out prior to June 30; from July the program will be expanded and offer the rebate plus the option of an interest-free loan that runs over four years. It’s possible eligibility may be backdated to cover folks who missed out prior to the June 30/24,000 system deadline. Again, just a guess. $1.24 billion for solar power systems on 650,000 homes1. $60 million for solar hot water systems for 60,000 homes. $40 million to support the purchase of solar batteries for 10,000 households. $82 million for solar panels on 50,0000 rental homes. The major goal of the program is to bring the number of homes in Victoria with solar panels to one million within ten years. “We promised to put power back in the hands of Victorians and that’s exactly what we’re doing – helping people take control of their energy costs and make a real difference to the state’s long-term energy future,” said Minister for Solar Homes Lily D’Ambrosio. According to the Clean Energy Regulator’s latest figures current as at 31 December 2018, 376,452 small scale solar power systems had been installed across the state since records began (2001). That total and figures for 2018 (39,522) will continue to rise as Small-scale Technology Certificates (STCs) are created for installed systems2 as there’s a 12- month period allowed for STC creation. I applied on 5 December 2018. (I would have applied earlier but didn’t know early adopters of solar were eligible.) No approval has been received. Installer backlogs are growing by the day. Emails to the authority remain unanswered – unless you call an automated email saying they are flat out a response. It’s a great idea but clearly massively understaffed with very unsatisfactory processes. I have been asking myself the same questions you have raised, in particular, if I get approval but can’t get panels installed before the end of June, will I receive the rebate? ‘clearly massively understaffed’ – definitely agree. The telephone help line is run by a third party which only passes on messages- which never get returned. Fortunately I already have approval but my paper work wasn’t up to muster as I supplied a series of receipts where a single receipt is required! I reckon its taking at least 1 month to get a response. I installed a PV system in November and received an Eligibility number from Solar Victoria after they ‘lost” my first lot of documents. I submitted the completed Rebate Application on Solar Victorias website and attached all necessary documents in mid-November. Since then – total silence.They do not even acknowledge receipt of applications. Hence there is no way of knowing if they are in fact processing your application. Furthermore you have no evidence of submitting the application as you cannot save it on their website – taking screen shots is the only way you can generate a copy. Calling them on their phone line is a total waste of time as they never answer – I have waited over 1 hour on their phone line with no reponse on several occasions. Sending e-mails meets with similar response – nothing. Surely in this day of mass communications it is not too difficult to acknowledge receipt of an Application. The whole process is a farce, as Malcolm alluded to you don’t receive any confirmation or reference number at the time of submitting, at least I didn’t when I submitted back in Oct. Fast forward to today and the only correspondence I have had is when I called and finally got through back in early December, I was given a confirmation number over the phone. Somehow this department is meant to expand the system to interest free loans from July the 1st meanwhile they seem to be falling further and further behind with the current rebates. I received an email confirming my eligibility in Nov 2018 after submitting my application to confirm eligibility in Oct.
Strangely they said that I only had up to mid Feb to get the installation done and provide the required documentation. In the current over the top temperature conditions with supply breakdowns in VIC threatening supplies I notice there is some increased activity on talkback radio on supply problems. 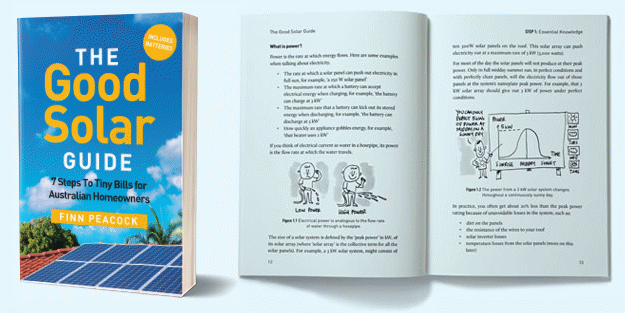 It seems many callers are unaware that their solar panels will not be able to power their house in a power cut due to islanding requirements, that is unless they also have an expensive battery system. I understand a 50 cycle frequency from the grid side is required to synchronise to and tell your inverter to work so your self generated power will not also go out to the grid in a failure and endanger linesmen but how hard or expensive would it be to have a relay box that registers an active grid and holds contacts closed feeding supply to the inverter and opened them when the supply is restored providing islanding. How is it determined when, or to whom rebates are paid out? I noticed a lot of installs way after mine have already received payment. It doesn’t seem like in numerical order as my system was installed at end of September and all completed paperwork submitted early October, yet still have not heard or received anything since. As a follow up to my earlier post, we received notification from Solar Victoria that they had approved our application a couple of weeks ago and the money was paid into our bank account last week. We completed the application process in early October, so in our case it took about 14 – 16 weeks to get the grant. One of the other unknowns in the process is the time it takes your electricity provider to process the information they receive from the installer. Also it seems that the time they take to actually switch the smart meter over to read how much power your PV system is feeding back into the grid is quite arbitrary. In our case it also cost $178 for them to “reconfigure” the smart meter and a couple of months to start crediting our electricity account with the amount of electricity fed back into the grid. During this time the PV system is feeding back into the grid and the electricity supplier is getting this electricity for free. Not much incentive for them to speed up the process. 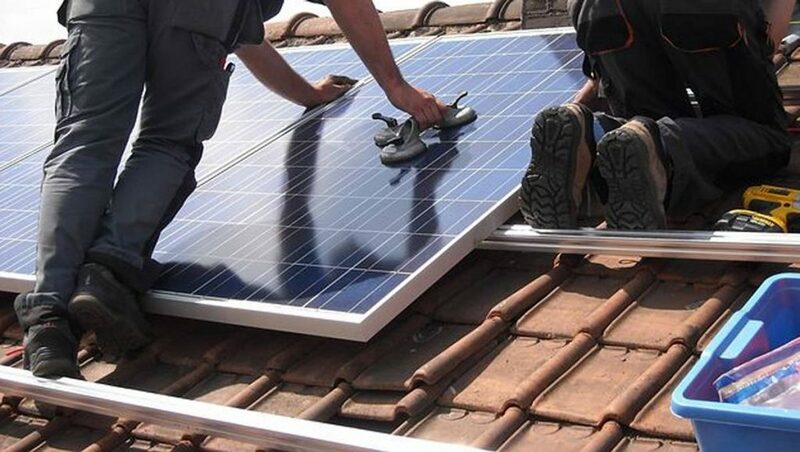 Unless you can afford to carry the cost of all the PV system for a period of time, you will be struggling. The wait time of 2 – 3 weeks for the rebate to be paid is now past the 2-3 months. When you send an email you get the same reply “we’re busy” . Same reply every time. Don’t get me wrong Solar is great. But paying you back seems a low priority for the Vic Government.